Six London South Bank University (LSBU) Students took on the heinous feat of engaging in a six month project alongside their studies. The result of the project was a clear development of the students’ skills, knowledge and attitudes towards the business world application of their teachings at university. So what is the YDF? The Young Directors Forum (YDF) is a platform for young directors and future leaders with the shared vision of creating events that fit their interests and needs whilst providing experiences and networking opportunities whilst engaging their minds with the core business topics of today and tomorrow. How did the Project with LSBU start? 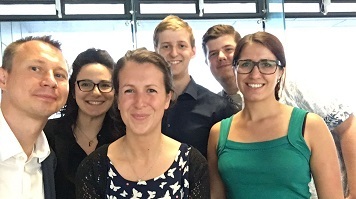 The six students that joined the YDF Student Project all attended the IoD Student Membership launch at LSBU where guest speakers from the IoD, YDF and previous student success stories from the scheme congratulated them on their success. One of the guest speakers, Tomasz, spoke about the opportunity to join the YDF in an assistant capacity to aid the main YDF Committee. It was at this event where the students applied for the role sending their CVs and cover letters in to be considered. Why did they join the YDF? What were the students' roles within the YDF? What impact has it had on you?